A summary of the legal/formation factors to consider when forming a warehousing business that fits into supply chain. The idea behind starting a new business should be to improve something — make it easier, faster, smarter, lighter, quicker. Or, in a single word, better. Even though the supply chain segment of the manufacturing industry might not seem like the most obvious prospect to someone looking to make a difference, it plays a vital role in the national and global economy. The middlemen of the middlemen, supply chain businesses are responsible for housing products between the manufacturer and the seller. Supply chain business may prove to be one of the most profitable new business ideas this year. 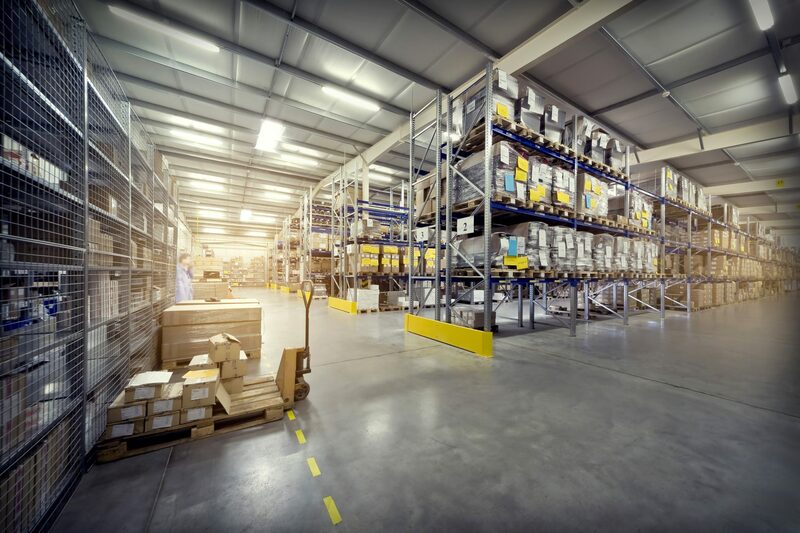 Thanks mostly to the continued surge in e-commerce, the warehousing industry is expected to fill over 650 million square feet of space between 2017 and 2019. The Global Warehousing and Store Report shows a 5.25% growth in 2018, with the compound annual growth rate prediction (CAGR) at a steady 6% each year through 2022. There is certainly opportunity for new business growth in the warehousing industry right now, and new business owners who prepare and plan accordingly will undoubtedly reap the benefits. Below, novice warehousing entrepreneurs will find the necessary steps for a secure and successful business in this essential position in the supply chain. Before you begin looking for adequate warehouse space, you will need to make your business official. Forming an LLC or C-corp offers liability protection for the owner, which is especially important when the purpose of the business is handling personal items. Creating a legal business entity also creates a separation between personal you and business you. In the unfortunate scenario that a lawsuit is brought against your business, your personal assets are protected. Neither a sole proprietorship, general partnership, or a DBA (“Doing Business As”) offer liability protection. The Operating Agreement is not generally a requirement in most states, but it is still a vital part of your business’s foundation because it designates the responsibilities of the owner(s) and lays out the company’s operational guidelines. The types of licenses and permits you will need for your chain supply business is specific to the your state, county, and even city. Most cities will require you to get a Certificate of Occupancy (CO) and a fire safety inspection before you can open for business. One of the most important aspects of a warehouse business is its location. Your business should be fairly easy to find and just as easy to navigate in and out. If you are working with local vendors, the main access will be via the road. However, if you plan to work with non-local vendors, you should also consider access to airports, seaports, and train stations. You may also want to consider the area around your possible warehouse — what is the neighborhood like? Are you near other like businesses? While the idea of being near other warehouse companies may seem counterproductive, it is proven to be advantageous if similar businesses flock together. Another vital part of your business’ success and compliance is your team. Just as you are building a business, you are also building a team of employees that will help move your company forward and not be a liability. Qualifications matter, especially regarding the operating of any heavy machine and/or work vehicles. Your employees should also be willing to support the business by staying current with safety and other required training to remain compliant with local/state/federal regulations. Forklift accidents account for 35,000 accidents every year. Additionally, slips and falls make up more than 25% of reported warehouse accidents. Careless employees can cost your business in insurance claims, lost days at work, and even potential lawsuits. Insurance is especially important for a supply chain business; between the movement of goods in and out of the warehouse to the daily possibility of on-the-job accidents, insurance covers a multitude of errors. As your business grows, remember to stay current with any general state requirements for businesses, safety training, and general inspections. Many times, it is the little things that cause the biggest problems instead of major catastrophes. Travis Crabtree is the President and General Counsel of online business filing company Swyft Filings. Swyft Filings has helped form and maintain tens of thousands of companies in all 50 states with all of their filing and compliance needs. His law practice focuses on assisting start-up and technology companies with all of their legal needs. Lean Manufacturing vs. Six Sigma: Which is Right for You? IT Processes Are In Trouble. What Does That Mean for Supply Chain?